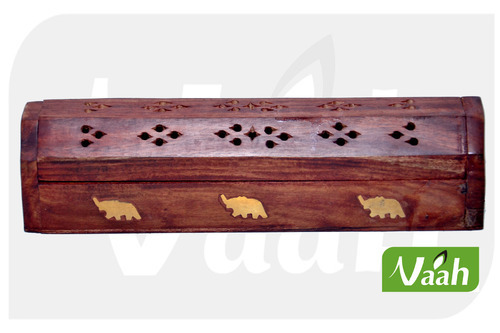 Leading Exporter of vaah wooden decorative incense burner, wooden leaf incense burner, wooden cone burner, vaah wooden incense burner box, vaah wooden incense burner jali box and wooden incense cone burner from New Delhi. 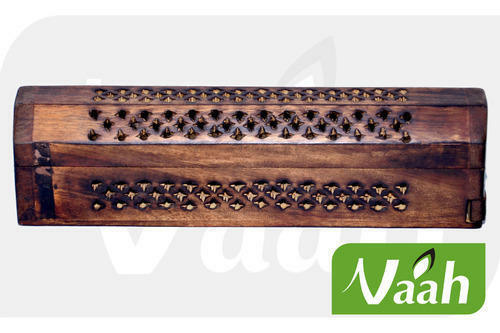 We offer high quality Decorative Incense Burner to our esteemed customers. The wood, which is best in the market, is used for manufacturing of these burner boxes. Due to their trendy design and impeccable finish, these boxes are highly demanded in the market. In addition to this, these boxes are available with us at affordable prices. 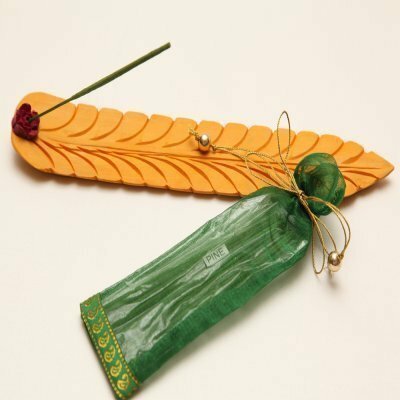 We offer high quality Wooden Designer Incense Burners to our esteemed customers. The wood, which is best in the market, is used for manufacturing of these burner boxes. Due to their trendy design and impeccable finish, these boxes are highly demanded in the market. In addition to this, these boxes are available with us at affordable prices. 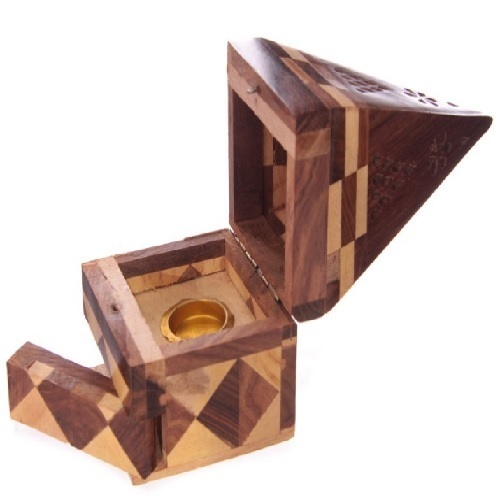 We offer high quality Wooden Cone Burners to our esteemed customers. The wood, which is best in the market, is used for manufacturing of these burner boxes. Due to their trendy design and impeccable finish, these boxes are highly demanded in the market. In addition to this, these boxes are available with us at affordable prices. 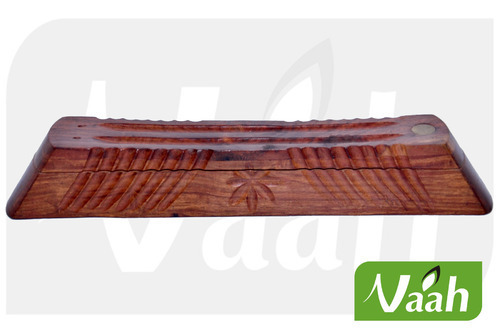 We offer high quality Wooden Incense Burners to our esteemed customers. The wood, which is best in the market, is used for manufacturing of these burner boxes. Due to their trendy design and impeccable finish, these boxes are highly demanded in the market. In addition to this, these boxes are available with us at affordable prices. 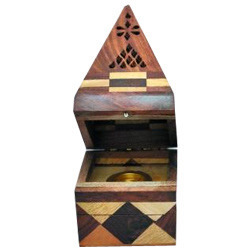 We are instrumental in offering supreme quality Wooden Incense Cone Burner to our valuable customers. These wooden cone burners are manufactured using advanced tools and are highly appreciated for their elegant design, lightweight and trendy appearance. To ensure delivery of the offered wooden cone burners within the assured time frame at the customers’ end, we have set up a huge distribution network.